Meat Stuffed Crepes Crisped up in Butter - Let the Baking Begin! Growing up in Ukraine, a looong time ago, I remember my mom making Nalisniki (that’s what Slavic folks call crepes) stuffed with meat. She had this pre-historic looking pan that she used only for crepes. Every time she used it, she would tell us how this is a special pan and it can not be scratched, otherwise the crepes will start sticking to it. I remember her taking a ladle with a cream-colored plastic handle, pour the batter right in the middle of the pan and then quickly swirl it around, coating the bottom with the batter. Then she would take the crepe out and place it into a tall stack. She made the crepes neither thick or thin. They were just the right thickness. Then she would lay out the crepes on a table, in an assembly-like fashion, where the crepes overlapped each other with only one half. Every time she did this, she would tell us that she learned this trick while working her first job at the dinner for military officers. Next, she would take the meat stuffing, put it a tablespoon on the exposed half of the crepe and start rolling them one by one. 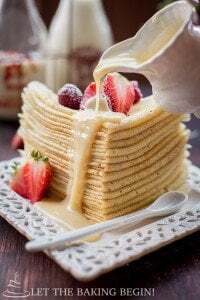 Once all the crepes were filled and rolled my mom would then take the skillet out again, put a dab of butter in the middle and brown the soft, stuffed pockets until golden and crisp. I and my sister would already sit at the table with a plate, fork, and a jar of thick but creamy sour cream that we bought at the market, in anticipation of a warm delicious crepe being transferred from the skillet right onto our plates. Oh, the memories! This recipe might not be the same one she used when we were little, but every time I make them, I still remember my childhood and my moms Nalisniki. It almost feels like I am reliving the moment. 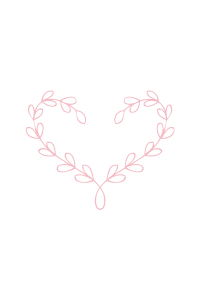 So I hope you give them a try and start making your own memories, maybe with your own kids, or maybe even grandkids. 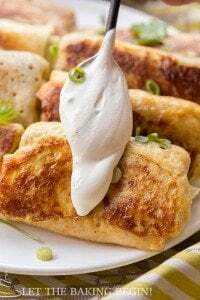 This is the same recipe I shared a while ago on Facebook, but that time I talked about the cheese filling that pairs so wonderfully with these crepes, so today, I will tell you about a savory version of the stuffed crepes we Ukrainians call – Nalisniki. Savory Crepes – Delicious crepes filled with Beef & MushroomFillingg. Nutella Crepes – Easy Crepe Recipe with a rich chocolate hazelnut spread. 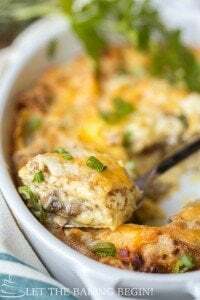 Stuffed Crepe Casserole – Crepes stuffed with sausage and eggs. In a bowl of an electric mixer fitted with a paddle attachment, mix together eggs, sugar, salt and flour until all flour is incorporated and the batter looks smooth, with no flour lumps, about 2 minutes. Take the batter out of the fridge, quickly stir with a spoon for about 20 seconds. Put a nonstick skillet over medium-low heat and let it heat up. With a ladle or a measuring cup, pour the batter in the middle of the skillet and quickly swirl the it around letting the batter completely cover the bottom. The skillet should be covered in a thin layer of batter. Depending on how much batter you put, you’ll end up with either thick or thin crepes. Take a stick of butter, uncover half of it, then take the butter, touching the covered part, and quickly run it around the inner side of the skillet. Cover with lid. Cook for about 30-40 seconds. It is done when there is no visible, runny batter on the top. Run a thin spatula around the crape, freeing it from the skillet. Quickly invert the crepe onto a round plate. If it doesn’t come off right away, just give it a couple of seconds. Boil the chicken liver in a pot with water until cooked, constantly skimming the top, about 5 minutes after the water comes to a boil. To cook chicken thighs, place the meat in a pot, cover with water and let cook until meat is tender. Pass the chicken thighs and liver though a grinder or food processor. Sautee the onion in a skillet with some oil until golden, then add the sautéed onions to the meat mixture. Add salt & pepper to taste. Add enough cream or broth to make the filling somewhat moist, but not runny. Turn the crepes browned side down, place a tablespoon of filling at the end closer to yourself and spread it out a little. Flip the left side towards the middle then the opposite. Now fold the crepe 2-3 times away from yourself. Place a dab of butter in a skillet and heat it over medium-high heat. Place the crepes folded side down and brown on each side until golden and crisp. Serve right away with a spoon of sour cream that’s thinned out with some cream. Marina, please, please, please teach me to make fresh sour cream (I can get fresh raw cream 🙂 ) like we ate when doing mission work in Zaporozhye! We can not buy good sour cream in the U.S. for love nor money. :/ The things I’ve tried have not worked. Hi Alicia! Sour cream is just cultured heavy cream. To culture it, you would you the same exact method as you would for making fresh farmers cheese, but you would not heat it after it becomes sour and just use it as you would sour cream. So basically take 1 qt of good cream (33% fat content or more) heat it to 110F, then add about 1/2 cup of buttermilk (Darigold, if you have this brand, is the best in my opinion) or kefir and stir it in really well (whatever you use to culture the cream, make sure it has live and active cultures, otherwise it will not work). Leave this concoction in the oven with just the light on (do not turn the heat on) overnight or for about 12 hours, at that point use a clean spoon (do not double dip) and taste it, if it’s sour enough for your taste, you’re good. If not, leave it for another couple of hours. I would not leave it in the oven for more than 16-18 hours or the cream might go bad with the wrong bacteria starting to grow. 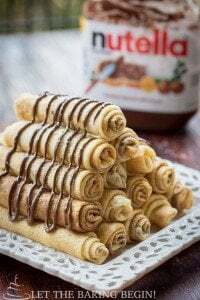 Nutella Stuffed Crepes & 3 Ways to Fold Them Let the Baking Begin!